Apple isn't planning to offer touchscreens on any of its upcoming professional-level Macs, the company's worldwide marketing head said in revealing upcoming new Mac Pros and iMacs on Tuesday. "Touch doesn't even register on the list of things pro users are interested in talking about," Phil Schiller told BuzzFeed News and other publications at an Apple prototyping lab. "They're interested in things like performance and storage and expandability." Microsoft has had some success with the Surface Studio, an iMac-like all-in-one desktop that can lay nearly completely flat and not only features a touchscreen but a specialized accessory, the Surface Dial, meant to sit on the screen at that angle. While expensive, the Studio can be useful for people working in illustration, design, and similar tasks. 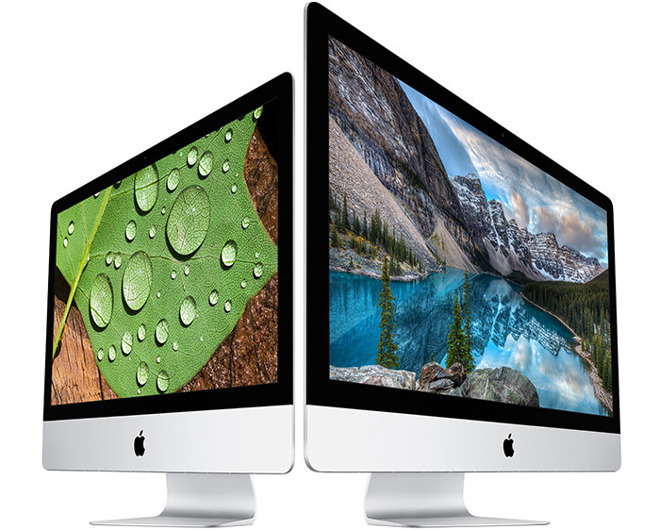 Apple is planning to ship new iMacs later this year, but most features are so far unknown. The only other definite point is that Apple will offer configurations it feels can meet professional needs. The company will go a step further in 2018, releasing an overhauled Mac Pro with a modular design that should be see more regular upgrades. It will be joined by a new Apple-branded display —Apple killed off the Thunderbolt Display in June 2016, letting third-party monitors fill in the gap.